Civil society groups and governments in the Mekong region are getting closer towards agreeing to guidelines that could see greater public participation in the drafting of environmental impact assessments before large-scale infrastructure developments, according to participants at a recent forum in Phnom Penh. 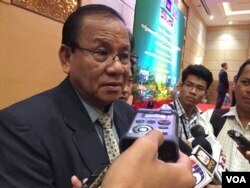 Speaking on the sidelines of the meeting on Friday, Su Sovuth, undersecretary at the environment ministry, said the draft agreement could see communities living along the Mekong who oppose projects having more of a say, when it comes into effect next year. “They have every right to protest,” he said, adding that many of the peoples were indigenous groups that “think the forest belongs to their ancestors” and should be allowed to remain in their homelands. The rules would also be of benefit to investors, he said, who would be better placed to assess project risks. 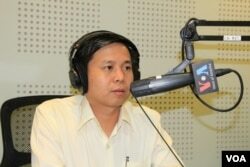 Tek Vannara, executive director of the NGO Forum on Cambodia, said large-scale development projects, such as hydroelectric dams, were a growing concern because of the associated environmental and social impacts. The policy was first drafted in August last year and is expected to be reviewed before being ratified in 2017 at a meeting in Myanmar. Romas Svel, an ethnic Jarai from Ratanakkiri province, said that so far little information about the new process had reached his community.